SPRINGVILLE, Alabama — On a routine cell transfer in 2012, a handcuffed inmate at St. Clair Correctional Facility had a few choice words that pricked the ear of Warden Carter Davenport. Davenport, then a 24-year corrections veteran, wasn’t going to let it slide. Not in the state’s second-most-violent prison. Not from an inmate placed in segregation — a dorm reserved for the prison’s worst troublemakers. Incensed, Davenport clenched his fist and cracked him in the head. When the inmate quieted down, Davenport removed his shackles and led him back to his cell. In most places, it is a crime to punch a handcuffed man. But in Alabama’s correctional system, it is a merely a policy violation, which was documented in Davenport’s personnel file. There was no investigation of the case, no interview with the inmate, and no record made of his injuries. Davenport received a two-day suspension, which he served the following month. An AL.com analysis of hundreds of personnel documents shows that the state’s wardens can flout the rules, take a slap on the wrist, return to work or transfer to other prisons. In fact, some wardens were promoted to their positions even after serving suspensions as lower-ranking officers for beating inmates or covering up beatings. Daniel Vasquez, former warden of California’s San Quentin State Prison, said it’s rare in corrections to see employees with red flags in their backgrounds promoted up to warden. Vasquez runs a consulting firm that assists prisons throughout the U.S. with policy and procedure, management of prison policy, organizational structure and use of force. AL.com reviewed the records as part of its investigation into the state’s overcrowded, abusive and violent prisons, which risk becoming the targets of federal takeover. Bryan Stevenson, the head of the prison reform group Equal Justice Initiative, which helped trigger a federal probe of conditions at Julia Tutwiler Prison for Women, questioned the appropriateness of the state’s response. “They don’t think it’s that big of deal to punch a handcuffed prisoner in the head,” Stevenson said. Davenport picked up the phone the morning of April 13, 2012, called a top ADOC investigations administrator, and confessed to punching the inmate. Since he self-reported the incident, it was never investigated, an ADOC spokeswoman said. Davenport took over in 2010 as St. Clair warden after working as a warden at Easterling and Fountain correctional facilities. Earlier, he was a deputy warden at Camden Community Based Facility and a captain at Tutwiler. The number of reported assaults at St. Clair has more than quadrupled since Davenport arrived. There were 101 reported assaults in the prison last year; there were 23 in 2010. Under ADOC policy, revised in 2009, assault figures include all inmate-on-inmate and inmate-on employee reported assaults, not just those that required internal investigation. An ADOC spokeswoman credited the increase in prison assaults to the policy change. The Equal Justice Initiative urged Alabama Department of Corrections Commissioner Kim Thomas on Thursday to remove Davenport and appoint new leadership at St. Clair after Jodey Waldrop became the third inmate to be killed at the prison in the past ten months. Stevenson, the group’s executive director, said St. Clair employees often smuggle in drugs and contraband that leads to inmate violence. The staff also ignores the pleas for help from inmates who say they are threatened, he said. ADOC spokeswoman Kristi Gates wrote in an email that prison employees are transferred based on the department’s demands, not because of any outside requests. Davenport remains the St. Clair warden. “If I’m instructed to make a statement to anyone, I’ll make a statement,” Davenport said. Before being tapped to be Davenport’s deputy warden at St. Clair in December, Eric Evans lied about radios he’d taken from inmates, and he punched a restrained inmate who wouldn’t shut his mouth. Working as a supervisor at Camden Work Release Center, Evans seized several radios from inmates in February 2006 during a routine shakedown. When asked about the radios, Evans claimed he’d trashed them instead of allowing the inmates send them home. Days later, Evans told Camden’s deputy warden that he’d preserved the radios, as required. Prison officials, however, determined that the radios that Evans showed them weren’t the ones that he’d seized. He was suspended for two days as a result. In 2003, Evans was suspended for six days for failing to report use of force on an inmate when he was a supervisor at Bibb Correctional Facility. In 1995, Evans was suspended for five days after he struck an inmate who, while being restrained, hurled a stream of foul language at him and another correctional officer. Evans brushed back an order to ignore the inmate and punched him in the left side of the face. Evans, who was Camden’s top warden before transferring to St. Clair, did not return multiple messages left by AL.com. In May 2010, Warden Willie Thomas’ staff members at Draper Correctional Facility couldn’t stop an inmate from bleeding. The inmate had suffered multiple stab wounds. Thomas, however, instructed his deputy warden to look into it while he went to each lunch. He then left the prison. The incident caused Thomas to be suspended for two days in October 2011. Claiming he left the prison because he is a diabetic and he had low blood-sugar, Thomas contested the punishment, but without success. 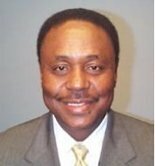 He was transferred to be head warden of Bibb County Correctional Facility in June 2011. AL.com sought to contact Thomas, but he did not respond. Another warden, Sylvester Folks, racked up a long and colorful discipline record before he retired in August as the warden of the Mobile Work Release Center. As an officer at Easterling Correctional Facility, Folks got into trouble in 1993 for spreading rumors that sexual harassment claims had been filed against his bosses. Folks persuaded a female officer to write him a statement that claimed an Easterling captain had made sexually suggestive remarks to her during a drug test. Later, he used the statement to try to call into question the prison’s captain, assistant captain and warden. Meanwhile, Folks urged an Easterling radio officer to tell him about an “anonymous note” someone had left on her front porch swing. Folks claimed to have heard about the note. Instead, the women took the note to her supervisor. The note claimed that sexual harassment charges had been lodged against Easterling’s warden. Folks was initially fired for his actions, but that punishment was reduced to a 30-day suspension. In 1995, Folks, then working as a supervisor at Bullock County Correctional Facility, was suspended for 30 days. He had failed to report the use of excessive and unnecessary force on an inmate. “It was reported, to you that the inmate had been unnecessarily beaten, to which you responded that you would ‘take the word of my officers,'” the discipline report stated. In 2008, Folks, by then a warden at Holman Correctional Center, was demoted. Folks was dating one of his female sergeants, who had gotten into a dispute with another sergeant. In what prison officials later labeled an “illegal investigation,” Folks interviewed witnesses concerning the dispute and tried to get them to change their stories. Handing down the punishment, the state corrections commissioner told Folks that his relationship with the sergeant had caused him to lose credibility. “I regret this action is necessary but Wardens are the highest level of authority in a facility and they are expected to set an example for subordinates,” the commissioner wrote. Back when Patrice Richie was a St. Clair correctional officer supervisor, she liked to swear. Richie swore in front of prison staff members and inmates. She swore so much that it cost her rank. In 2006, a St. Clair officer complained to ADOC officials that Richie had kicked him two years earlier, called him vulgar names and addressed him with racial terms. “The hearing officer found that it was ‘commonplace’ for the employee to use profanity, ‘directly or indirectly,’ when addressing employees,” according to the ruling that resulted. The ADOC administrator who wrote the ruling dismissed the claim that Richie kicked the officer, but upheld the warden’s decision that demoted Richie from supervisor back to correctional officer. Richie went on to work as a captain at Tutwiler for five years, was promoted to be Davenport’s deputy warden in 2011, and tapped to lead Birmingham Work Release Center in 2013, where she remains. “I don’t think your facts are correct,” Richie told AL.com, before declining further comment.